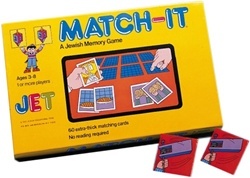 A Jewish memory game for 1 or more players, ages 3-8. 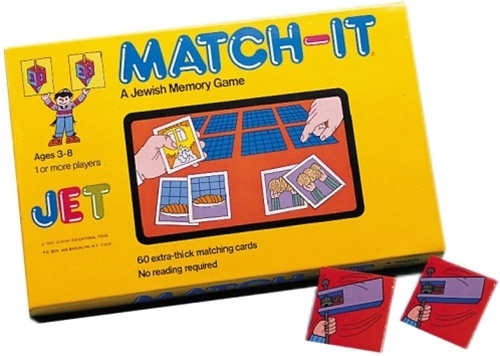 60 extra thick matching cards. No reading required.